You’ve probably noticed that I’m a big fan of simple, quick dinner options and this one well and truly fits that bill as well. 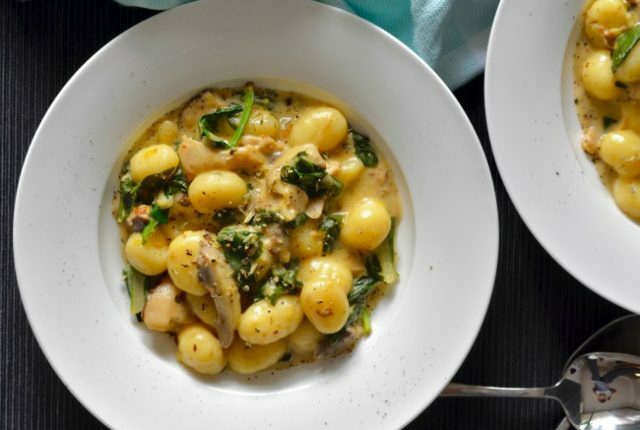 You can have this mushroom spinach gnocchi on the table in no time at all, plus it only needs one pot. Perfect for a mid-week meal – oh and it’s delicious too of course! With Spring finally upon us I wanted something a little lighter for my work lunches. 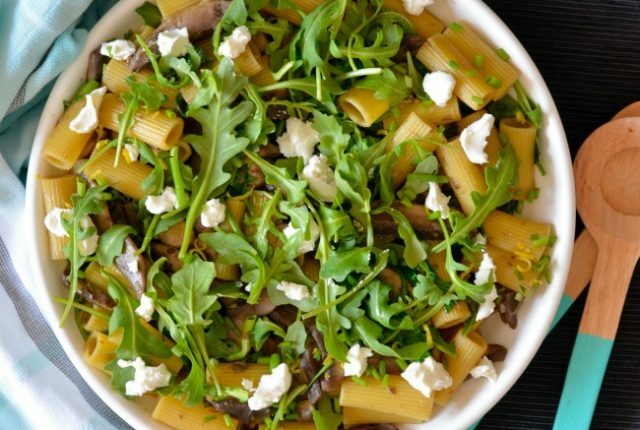 This mushroom goats cheese pasta salad was an excellent choice! Simple, zesty, delicious and ready in no time at all! I highly recommend you give it a try! 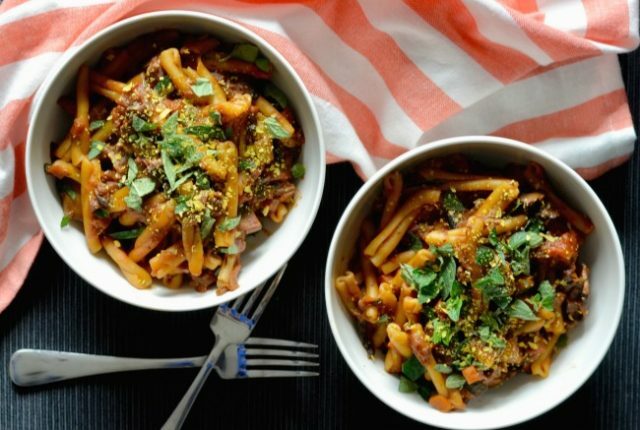 This eggplant mushroom pasta is rich, warming and oh so delicious. It requires setting aside a bit of time to cook it, so it’s perfect for a Sunday afternoon cooking session. 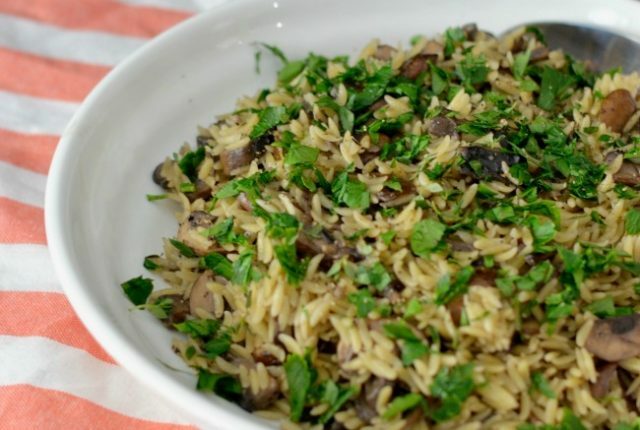 Plus, then you’ll have a delicious dish ready for your Meatless Monday dinner too! 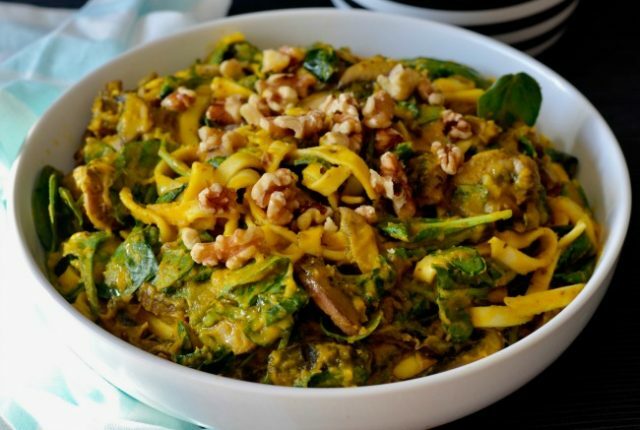 Pasta is an obvious choice for the colder nights ahead of us, and this pumpkin mushroom pasta is creamy and delicious. The best part is, despite being super creamy it actually is completely dairy free! This makes it suitable for vegans, and quite a bit healthier to boot!